Before I begin I will say that I am not a psychologist or mental health councillor, merely an athlete, Physical Therapist, musician and person with experience in mental health issues. My points may not be scientifically proven but I hope this serves as a useful resource for everyone. The Power of Negativity. It is incredibly easy to be negative. It is far easier to be negative than positive. Without realising it many of us will consider five negatives thoughts on a single issue before considering just one positive thought. We can work to remain positive but the power of negativity seems to draw us back in so easily. When we feel blue, it doesn’t take long for a small problem to manifest or snowball into many other problems. We can become consumed by negativity, almost suffocating, and it feels like there is no way to pull out of this hole. The problem is, that a negative mind directly impacts our body. We are more likely to feel lethargic, frustrated, have low motivation, have general feeling of melancholy and who can forget, comfort eating! Biologically we are programmed to recognise the negative aspects of a situation. This is a ‘survival of the fittest’ theory where those who can see the danger or negative aspects are more likely to be able to analyse and choose a safer or more positive solution, versus someone who waltzes into danger oblivious to hazards may not come out so lucky! Ok, so it may be in our nature, but it is also our responsibility to take into account a negative, consider the positive and come to a solution or continue on a path to progression. I think this is where we often get stuck. These ‘blue’ feelings or negative thoughts weigh heavily on our minds, overshadowing our ability to easily consider, or even see the positive. He will force me to answer him out loud. This doesn’t wipe the negativity slate clean but it does clear some of that heavy dark cloud and allow room for the perspective, positivity and acknowledgement of things to be grateful for at this early stage. Surround yourself with positive people – i have made a conscious effort to surround myself with positive people. These are people who are supportive, kind, happy, successful, grateful and humble. Take responsibility – there are always going to be those lucky people who seem to get everything for nothing, but the reality is these people are a minority. Take responsibility for the things that are happening in your life and if you want them to change, you must initiate that. Don’t bleat over the fact someone has been handed more than you. Jealousy is toxic. Move on and make things happen! Reflect on your progress – stop and recognise what you have already achieved. So often we don’t take the time to do this… Take the time! I remember the first time I ran for 20minutes non stop, now I’ve ran 2 marathons, completed an Ironman and paced for a trail ultra marathon in the dark! Or even the first time I got on a mountain bike, just 1 year ago! 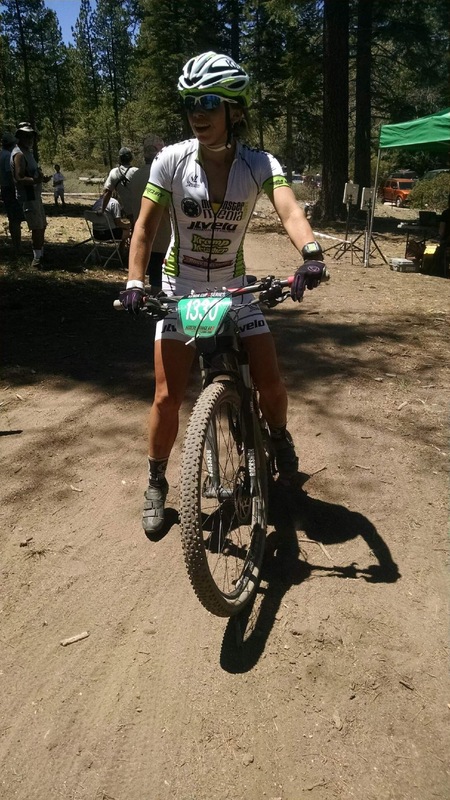 So much has happened in this year, qualifying for Pro Xterra card, winning a few XC races and Xterra events and upgrading to a Cat 1 XC MTB rider… all on a demo bike I had borrowed. So to summarise, it’s ok to have negative thoughts. Being a ‘defensive pessimist’ has been shown to have its benefits; but you must ensure that with the negativity and doubts you take the time to consider the positive, keep your mind open and calm to avoid becoming suffocated into that deep dark hole of negativity – nothing good happens there. If you have done the Silverman course, I’m sure you’ll agree most wouldn’t use ‘fun’ as their first choice of adjective. It’s a very hilly course with often unforgiving weather and this year was no different. Not particularly hot but very windy! Having qualified and entered the XTERRA World Championships on November 1st and still fundraising and aiming for a season finale at Ironman Arizona I needed to do some serious thinking. I had competed two weekends before at Xterra Nationals in Utah and then one week before ran for almost 6hours through the night pacing badass ultra runner Michael Jimanez on the Trails around Big Bear, so I didn’t want to tap too much further into that reserve. One thing Michael had taught me was the importance of ‘the well’. You can dig deep into that well, but you have to take the time to fill it up. And honestly, I hadn’t been filling it up. This forced me to look at Silverman in a very different light. I would have to race it as a good training day. I know some people get irked by this way of thinking but it was necessary. I would race Silverman with the sole purpose of enjoying it, getting my nutrition dialled in and keeping a solid steady pace. I rode pretty well, I actually like climbing and I know the hills out there quite well by now so knew where I could stand up, where I should ease off and when I just needed to grind. Everything was going pretty well, until on a fast descent, I looked down for the briefest of moments and the visor from my helmet was whipped off onto my arms… I was going to fast to take my hand off and grab it, but I thought I’d try; unfortunately I had just overtaken somebody and as soon as I tried to manoeuvre to grab the visor it whipped out of my arms blowing behind me… Oh man I felt terrible!!! I knew it would’ve gone flying right into him! I put my hand up and shouted “SORRY!” and looked behind quickly… he was still upright, no crash caused. Phew! Not quite the race report I usually put out, but not every day is your best day. This was a great day for me, not performance wise, but having the mental ability patience to control myself better in a race environment. I only took a little out of the well and have a lot to put in this week. Ironman Canada was never going to be easy, I knew this. 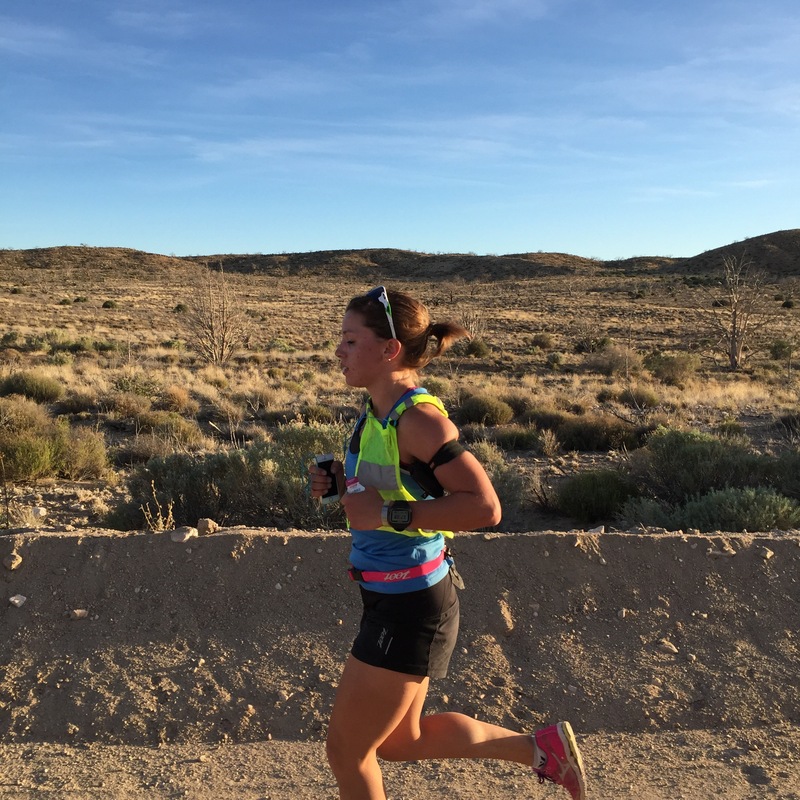 This would be the toughest race of my life and I knew I would have to dig deep…often. My preparation for the event had gone reasonably well; I’d built up a solid bike and run base and lengthened swim workouts. 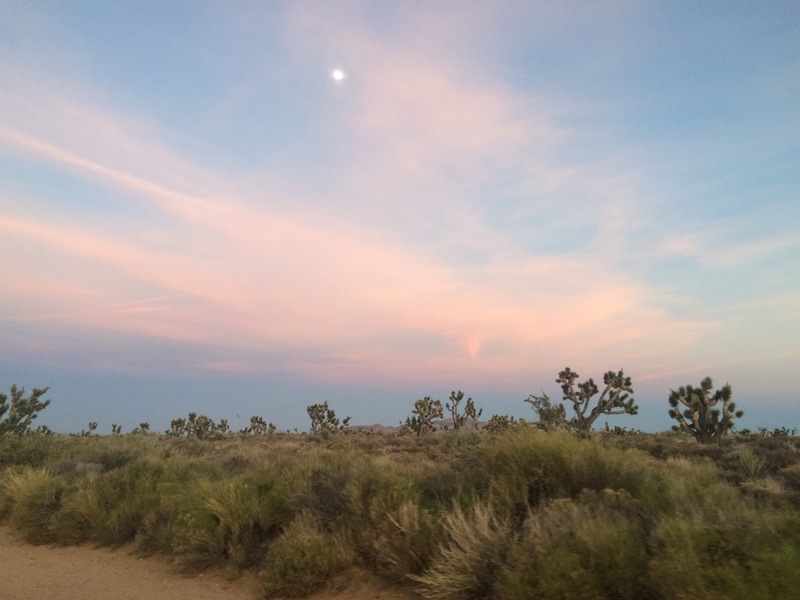 I’d practiced my nutrition and hydration in the intense and often severe heat of the Las Vegas Desert. My coach, Chris DeMarchi, was confident in me, and I was starting to feel the same way. I came up to Whistler on Wednesday to finish my taper and get a chance to pre-ride a bit of the course. I have not properly tapered for a race for a long time so I was feeling very rested going into the event. I had a hydration and nutrition plan all worked out, but tried to keep in mind that this would likely be different to my ‘Vegas Desert Hydration Plan’. The weather was looking to be colder and rainy. I adjusted my attire in that I decided to wear socks and arm warmers in addition to my normal two piece tri suit. Race morning came and although I was very anxious, I was somewhat calm. It hadn’t started to rain but the sky was full. The race begins with a deep-water mass start of around 2000 age group athletes all going off together with the gun. It was a two-loop swim in a long rectangle. I positioned myself somewhat to the side but in the front line so to get a good start. The gun went off and I pushed hard to settle into a nice steady rhythm and position. Even though I knew we were spreading out, somehow it felt like everyone would get to the corner buoys at the same time. I was very much aware that by this point the rain was lashing down around us. I held strong and kept pushing. Only a couple swift elbows to the face and goggles knocked once but minor setbacks if that. I was eager to keep steady. I exited the 2.4mile swim 9th in my age-group (very surprising for me) in a time of 1:07:37. Exit the water, down on ground, wetsuit off, into changing tent. A very lovely volunteer helped me don my already very wet arm warmers and I put on my socks thinking to myself what a fat lot of use the talcum powder was. Anyway, out to my bike and away. The bike course brought more and more rain. It was truly torrential at this point. I was very aware of the voices in my head reminding me not to go too fast in the first part of the bike. I stayed true to this and only pushed to a pace where I didn’t feel like I was working, only moving along. I did start to pick people off but managed to stay calm and true to my plan. The descent coming down from the Whistler Olympic Park was terrifying. I had brand new brake pads for the Zipp 404 wheels I was using, but the rain posed such a high risk for disaster. I played it reasonably safe on these initial descents. Climbing back up to Whistler village, the cold started to kick in. I could;t feel me fingers and I was starting to shiver a little. The rain still not letting up, we began the fast descents down towards Pemberton. This is where things really got worrisome. Now the circulation had left my hands and they were bright white. I would lift my hand and arm to reach for a gel but I couldn’t do anything… I was stuck. The shivering had gotten so intense by this point I could feel my whole body beginning to spasm. Descending, brought more cold and I could barely control my bike. My eyes started to become very heavy. I remembered my special needs bag would be in Pemberton, and in there was hope….a Snickers bar. In Pemberton I pulled up to the aid station and volunteers immediately had my bag open and asking what I needed. I could only mumble and vaguely point in the direction of my food. I was beyond cold and expending a lot more energy than initially planned with all this shivering. A volunteer opened my snickers and all but shoved it in my mouth. It was delicious! I could feel I was crying because there was warmth on my face. Suddenly the volunteers were putting gloves on my hands and a jacket on me. One volunteer looked at me in the eyes and said “Ok, now you will warm up and you WILL finish this, you WILL be an ironman. Now get off down the valley and we’ll see you on the way back”…I kid you not, thats how it went down. The climb back up to Whistler village is a long unforgiving one. No lie it goes on forever. My legs still felt good at this point so as long as I changed up my position every so often, stayed in a low gear for the tough climbs I was fine. I had no idea where I was in the standings, I was just grateful to have made it through the cold. It turns out almost 15% of people did not finish at all and of those 15% most had to turn in the towel on the bike because of the wet and cold. That being said 15% is an inspiringly low number…Ironman breeds a certain hardy type of athlete, one for whom giving up is not often an option. I came back into the village and up towards T2. The village was buzzing with spectators and supporters. I finished the 112mile bike in 6:03:50, 3rd in my age group. Onto the run with DRY socks and shoes! BLISS! I set off at a steady but VERY manageable pace with intentions to kick it up in the last 6miles and to walk through the aid stations. Well I didn’t stop at the first couple as I really didn’t need to, but after the second station, my guts started churning. I managed to push that feeling away for a while but my 13k I had to stop, I darted for the portaloo… Unfortunately this went on for the next 15-18km 😦 with each spasm in my stomach and gut my legs felt heavier and stiffer. I looked at my watch, seeing my goal disappearing from my eyes. Ok new plan, just make it aid station to aid station. With about 5km to go a girl in my age group past me, I foolishly thought she must have been on her first lap as she looked very fresh and had changed into an entirely new outfit from the bike. I now realise, considering how wet everything was and my own levels of chafing, that really wasn’t a terrible idea… Anyway, with 2km to go and the finish line so close I noticed up ahead that she too made a turnoff for the finish line. Unsure of my standings at this point but vaguely hopeful still of a podium spot I somehow picked up the pace. I lengthened my stride and ignored all the screams of fatigue and pain. All I could hear were the voices in my head from friends and family whom I knew were cheering me on from afar. With just under 1km to go, I overtook her, unsure of whether she’d respond, I cranked it up another gear. Now sprinting through the village, I regret barely being able to appreciate the crowds at this point. I was so grateful throughout the whole course of all the people out there supporting and cheering for us. I saw the finishing shoot and glancing over my shoulder, without this girl in sight I began to smile. Savour the moment. I crossed the line with a smile on my face with a marathon split of 4:06:35 and a total finishing time of 11:27:11. I finished 6th in my age group, 40th women and 198th overall out of 2000 athletes. I was disappointed to miss out on a podium spot (place up to 5) and to have ran so poorly knowing I could do better…BUT…after I nice pep talk from my coach and some reflection, I am extremely proud of this, my first Ironman. I learned so much from this experience. I have trained relentlessly whilst juggling a full time job as a Physical Therapist, which as most age groupers will know is no easy task. We do not have the luxury of recovery time or endless training hours and yet we all show up and get it done on race day. I’m proud to have joined this special albeit slightly mad, group of athletes who have earned the right to call themselves Ironman. I would like to take this opportunity to thank my Coach Chris DeMarchi, my teammate Rachelle Jorgenson for pushing me to enter this race, my roommate Michelle whose love and support has been invaluable, My Mum who introduced me to this sport as I watched her compete in triathlon and whose endless strength, love and drive has brought me where I am today, My siblings Jessica, Eva and David, My Dad, my whole family! And all of my friends in Las `Vegas, Balmedie and world wide. I am so grateful of the love and support I receive from you all. I have only just caught up with all the Facebook posts and comments but it really brought me such sincere gratitude and joy to feel and read all of your best wishes and support. Thank you. It’s for you that I will race again, that I will continue to push and push as far as this road will take me. That road may have branches with off road trails and mountain bikes but the goals remain the same. Thank you all once again for believing in me. I left Nipton at around 3am and drove to Primm to sleep in the car until 5:30am. I knew I couldn’t even think of doing this crazy challenge without help, and luckily my partner in life 😉 Brandon was more than willing to provide support in this part of the weekend. Having not managed to eat or drink following stomach issues I gingerly ordered hot chocolate and oatmeal from Starbucks while Brandon loaded up on a Venti extra everything coffee! I closed my eyes slot of the way but couldn’t fall asleep. I would ramble about the race and then fade off for a while before eventually just turning up some music and amping up for the day. We arrived in big bear and I signed up. 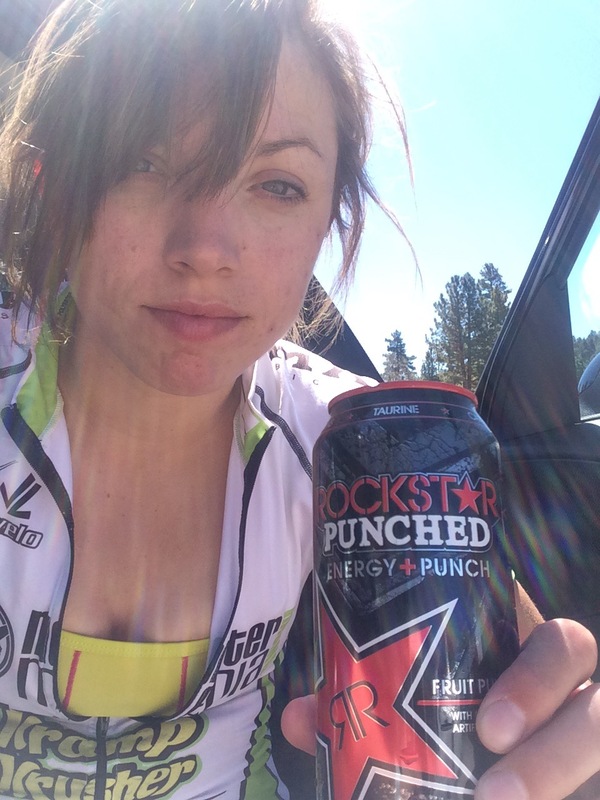 I was eager to try and continue hydration so I sat behind the sunshade in the car sipping on water and a rockstar evergy drink. 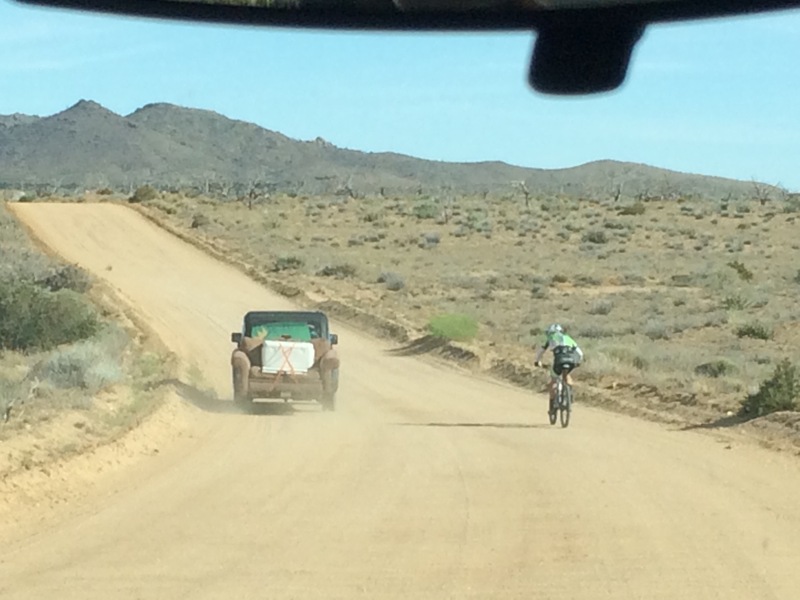 The race started up on 2N10, a dirt road ‘an easy 10minute ride’ from snow summit. An easy ride, my arse. I kept in a low gear climbing up to the top. I got to the start line with around 10mins to spare. The girls around me looked strong and ready for the day. I looked like death. A girl in a Velo Hanger kit rolled up beside me. I knew her! I had raced with her at a stage race earlier in the season and boy was she strong!!! Another couple familiar faces rolled up and I knew I was in trouble. These girls are good! At this point considering the race the day before, there was nothing left but to enjoy it. At least that’s what Brandon said. Although he and I both knew that once the gun went off I would undoubtedly be giving it my best. We were off. Our field raced forward and soon the likely contenders were all at the front pushing up the climb. I kept true to my legs and myself and didn’t get excited. Slowly I inched passed one then one more until it was just me and Katie (the VH badass!). We to’d and fro’d between 1st and 2nd position. Knowing we were all cat 2 but not knowing age groups she called forward at one point as I’d got in front, “WHAT AGE GROUP ARE YOU?”, I replied “19-29!”, she laughed, “THEN THIS IS GONNA BE FUN!!”. I smiled too and it was on!!!! We continued back and forth, she took me on a couple climbs but I kept her in my sights, mindful of the pack behind us too. 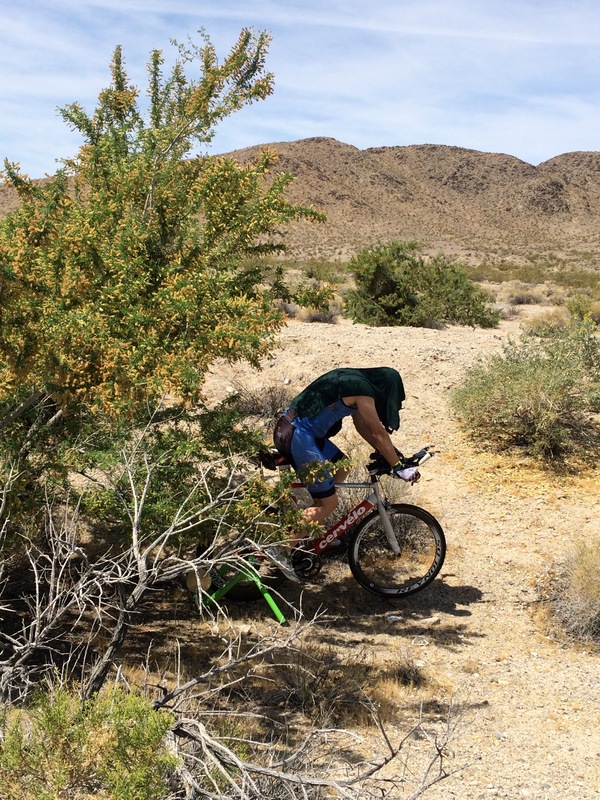 We turned onto a single track and I was grateful of my fast and furious training on narrow trails in Las Vegas. I saw an opportunity to jump in front of her and I bolted! Suddenly adrenaline kicking in, I was sharp and thrashing into corners and descents. Of course, courteous to much faster guys who would catch me on these descents, “RIGHT RIGHT RIGHT” I would shout, aware they were close and signaling to pass by. Soon the crowds started emerging. The final turn and I crossed the line. 1st. Bloody 1st!!! I could hardly believe it! I was elated. Katie came in 2:30 after me and we commended each other on a true race. This weekend showed me that I could achieve seemingly unattainable things, but I could do it with power, speed and heart. This was the confidence booster I needed to get right back into Ironman training. And with that being said the countdown is on. Thank you to everyone for the support and for the encouragement to follow my dreams. I won’t let you down. Not even 2weeks ago I received a message from AJ Mesalic via Facebook, asking me to fill a spot in their team in the Mohave Death Race. Someone had had to pull out at last minute and it was crunch time. I did a bit of research and was inundated with info about the race from AJ, and it really looked quite rediculous. 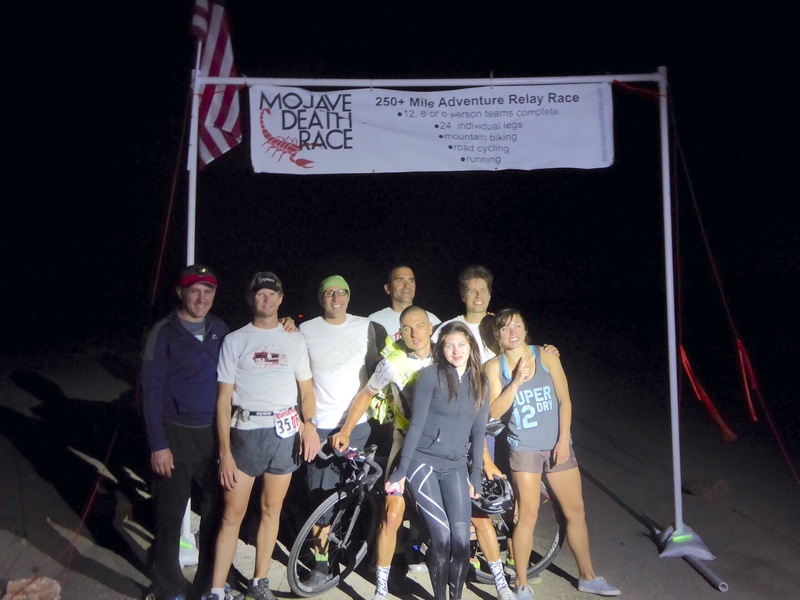 280 mile relay race across the Mohave Desert in summer, comprising 24 legs of road bike, mountain bike, road run and trail run. 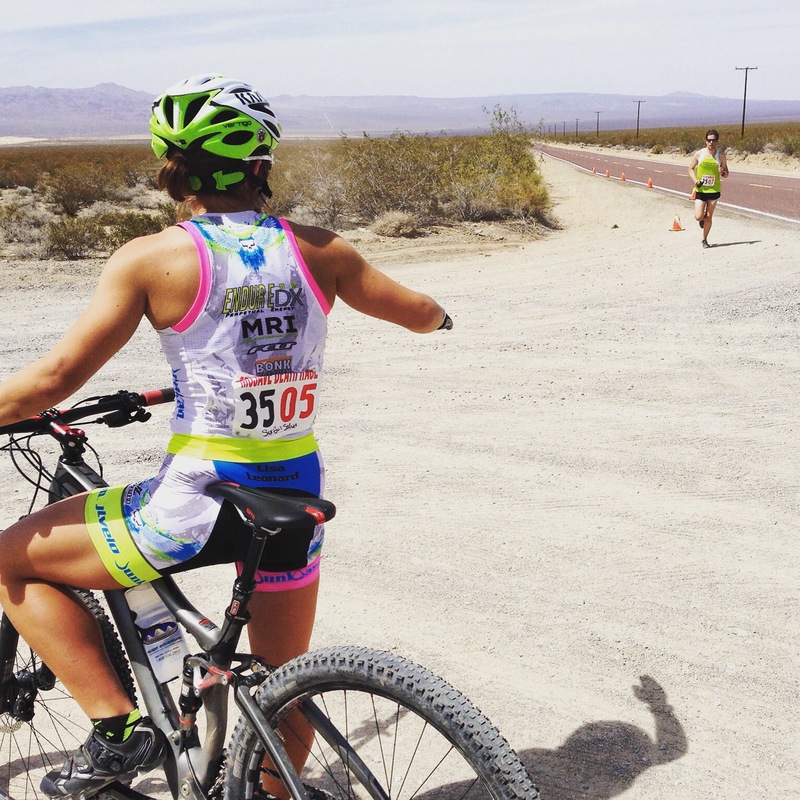 Being an endurance junkie and loving a good challenge I was definitely intrigued. 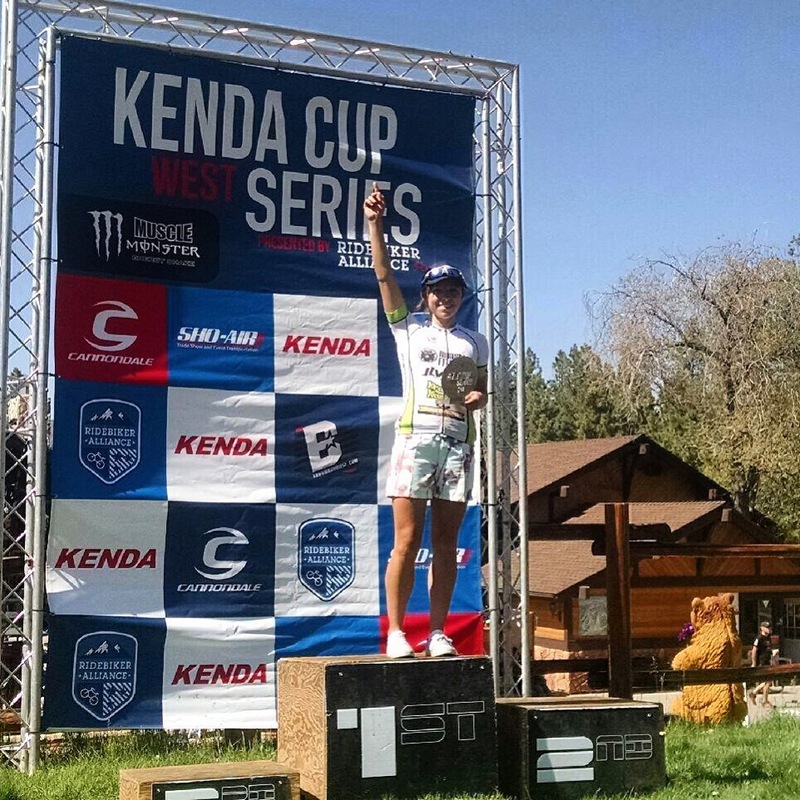 I only had one problem: the next day was the next round of the Kenda Cup West in Big Bear, and I was so eager to gain some points in the series standing after winning my first race in Bonelli park. So I asked him. Logistically, disregarding the lack of sleep and recovery, would it be possible to finish one and be in big bear to race on Sunday… AJ seemed confident we could be finished by 5am. Providing I could ask someone to drive me to big bear and back it wAs definitely plausible… I WAS IN! Friday night I drove to Nipton, CA where the race would begin and finish. I met my team (most of which for the first time! ), AJ and Ashley who I knew through the local triathlon scene, Kas, a crazy great climber with Mcghies/Mandalay bay cycling team, Ryan and Chris who are both incredible seemingly effortless runners and Patrick a fearless mountain biker AND roadie. 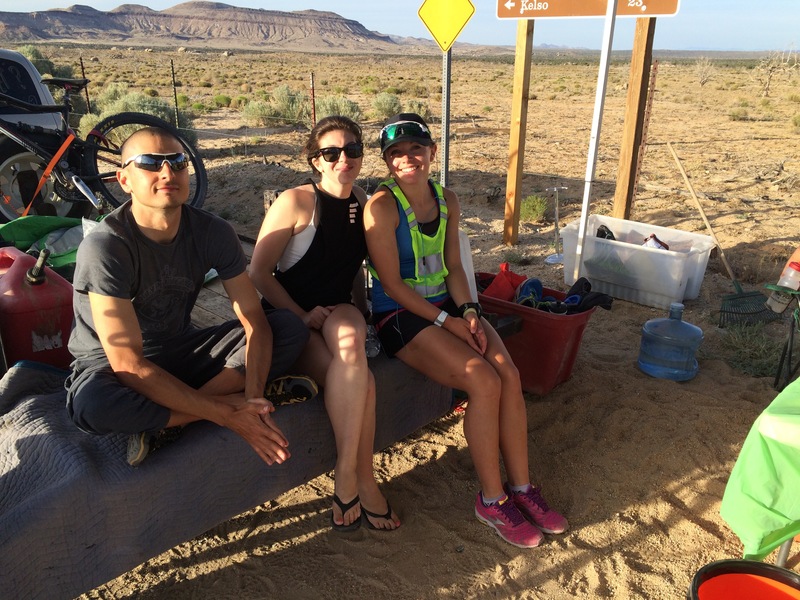 Our team was completed by Carrie, Kas’ wife who drove one of our vehicles, provided constant support and who spent her entire Friday creating an entire cooler full of Feedzone Portables which kept us fueled through the entire event. After sleeping in our pretty glamorous 8 person tent, complete with noisy freight trains passing through the night I woke bleary eyed but altogether quite excited for the adventure that lay ahead. The year before the competition had been tight with only 80seconds between 1st and 2nd place! The theme of the day was to never let our ego get the better of us, never give up, keep pushing until it’s over. By the time it came to my first leg we were in the lead. Ashley had started us off in a strong position with Kas taking the lead in the second leg. 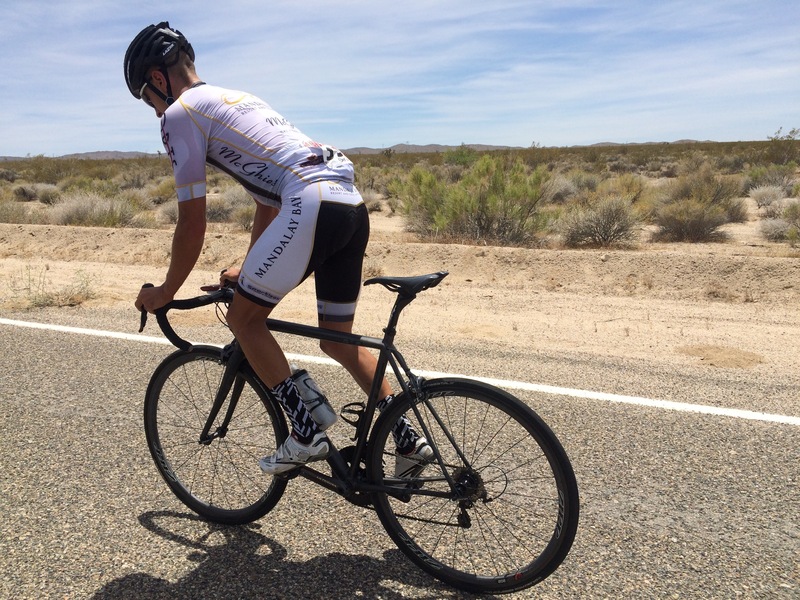 Ryan and Chris blasted through their first legs, leaving Patrick to ride like the wind to me. My first leg was an 11.6mile uphill road bike, and it was already HOT! I was warned of the several false summits that I would encounter so I kept my head down and kept grinding upward. Man, the pressure of leading with 19teams chasing you down is no joke! The temperature was now well above 100degrees Fahrenheit and in the Mohave Desert there is no hiding from it. Kas rode the 34mile leg with an incredible amount of climbing in the heat of the day, we did what we could to support him with hydration and cooling but it was brutal! His leg was followed by an equally grueling 9mile uphill run in one straight line. Ryan took on this one and I don’t even know how he physically pushed so hard but I was in awe! Ryan handed the baton to me in my unsupported mountain bike leg and all I could do was think how hard everyone was already pushing, I couldn’t let them down now! My own goal was to try and finish the leg as much as I could before the next athlete started…I powered so hard through that bike finishing in just under 30minutes and a full 30mins at least before the next athlete could set off! At this point it would have been easy to become complacent but no one even considered this an option! My next leg was a 7.8 mile undulating trail run. This started well, the sun was finally starting to go down and I felt like the worst was done..how wrong I was. I started to get a stitch about 5 miles in but all I could do was stop, breathe and push on. My teammates gave support from the team van and encouraged me to slow down the pace, well I couldn’t do that! Not now! I finished my leg having run at a 7 minute pace, but my stomach was flipping. I got in the car and things went from bad to worse. I couldn’t bare to eat or drink anything and I was sure this was going to be my low point in the race… And low it was. I had a bit of time before my next and final leg. I focussed on nothing more than being still, trying to get the minimum fluid into me and of course supporting our athletes on during these dark hours. With less than 35miles left in the whole race, I was up. A 4.8 mile run in the dark along a rutted dirt road. 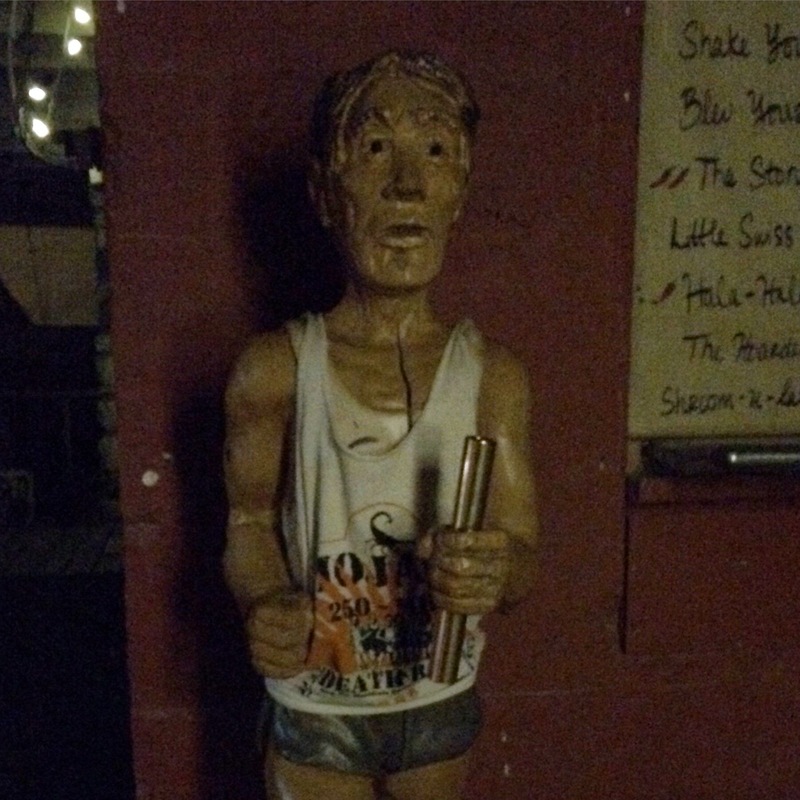 I ran like everyone was chasing me…because they were. I ran for my teammates who had busted themselves all day long, who I had supported and who had supported me along the marvellous adventure. I ran and ran until I started to feel a pain in my side again. I drastically slowed down. The support vehicle pulled up beside me and Patrick called out to me “I hope you’re having fun! This is it! Enjoy it!” I turned to him and smiled. This guy knew how to pull me out of the darkness I slipped into and once again I was flying! I created over the hill and saw the lights of Primm, the shine of the solar panel fields and in the distance my home, Las Vegas. I threw my arms up in the air and continued flying down the hill. My elation was met by distant cheers in the distance behind me from the support vehicle. I handed over to Ashley and my work was done. The support van pulled up next to me and we all smiled. This had been a day like no other, an adventure like no other. Starting the day barely knowing one another’s names to becoming each other’s closest support crew. I went on to Nipton, giving Kas a vote of support on the way and went about getting ready to make a dash out of there after the finish. After all, this was still just part one. Kas crossed the line around 2:20am. We had finished with around a 2hour lead on our competitors, but I was filled with nothing but admiration for every single participant and volunteer who made that event what it was. We all suffered and we all loved it. This is what we live for, what we thrive, the challenge…and it was beautiful!